The writer is quoting someone when he does that. You are quoting yourself? Just cut it out, thanks. ok - Sent email to address given above and got a prompt reply from Syd. Now 40 days after Syd's email promise of a replacement, and some 6 long months after the issue was first noted in the Genii forum, and still ... nothing? Dan? ... Dave? ... Syd? ..... anybody? Roger M. wrote: Now 40 days after Syd's email promise of a replacement, and some 6 long months after the issue was first noted in the Genii forum, and still ... nothing? Maybe they should stick to selling pointless overpriced packs of wanky cards to teenagers. I've always been impressed by the downloads on the Dan & Dave website - for example, the Cherry control by Rick Smith. I also enjoyed their appearance at the Session (UK) a few years ago. A minor quibble is their use of the word 'curate' on their homepage. It's somewhat pretentious and arty-farty. I'm sure that contemporary artists like Banksy would mock this usage. Nevertheless,'curate' falls short of that snooty English term 'bespoke' which really gets my goat! Richard Stokes wrote: 'It's somewhat pretentious and arty-farty. ???? 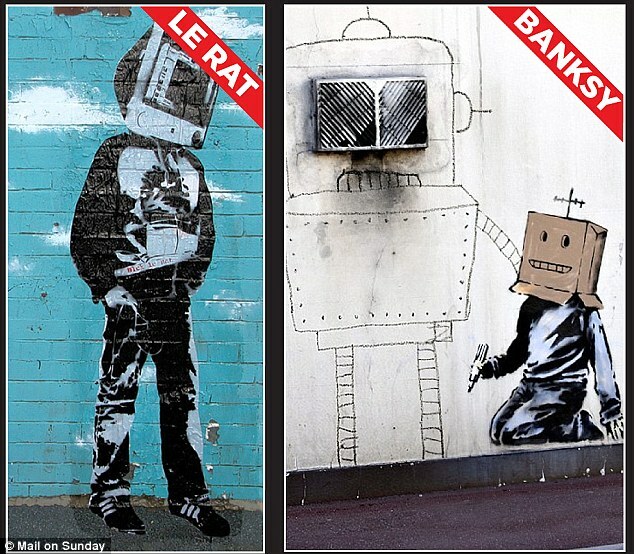 Because Banksy ISN'T pretentious and arty-farty? Nah, he's just a common thief. Thanks, Mr Goat, for pointing that connection out. 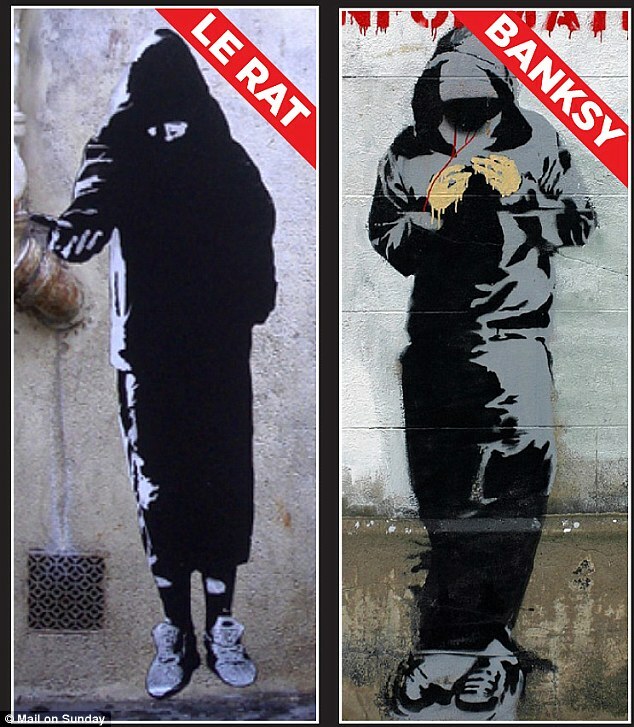 [censored] is Bansky a common thief. Now 80 days after Syd's email promise of a replacement, and almost 8 months after the issue was first noted in the Genii forum, and still ... absolutely nothing. Looks bad on Dan & Dave, nothing worse than lying to customers. You might want to step up to the plate boys, some damage already done, and more damage being done for every month that passes with unfilled promises. I'm sure they will have it for me waiting at the Genii Convention. I know I will be asking when I meet them. Although there will no doubt be some uncomfortable moments at the Genii convention with regards to customers asking about their non-existent replacement discs, one has to wonder if there was ever a plan to offer replacement discs, or if it was a plan only to put customers off until the owners of the faulty discs simply forgot about the matter entirely. It's too bad really, reputations are difficult to build, and even harder to maintain when a company is fundamentally dishonest with their customers. I contacted D & D customer service and they said replacement discs should ship by next week. I'll post here when my disc arrives and when I have a chance to review the sync issue fix. As an FYI: I just received the tracking number for the replacement disc so it looks like they are being mailed this week. Last edited by erdnasephile on May 24th, 2015, 4:42 pm, edited 1 time in total. Anybody else get a tracking number? Anybody actually got a disc? I've not yet received any information one way or the other, despite emailing my request for a replacement as per the instructions given. I've had no update, which isn't surprising. Replacement disc arrived yesterday. The sound sync issue in the clip in question has been resolved. I skimmed through most of the rest of the disc. I have not been able to find any additional errors in that material. I hope that everyone receives their replacement discs soon. I received an email with a tracking number, so the disc has definitely been shipped! I got an email towards the end of last week. It would appear to be an issue approaching resolution. Replacement DVD received today at AJM Headquarters - I shall road test it at the weekend. It has taken some time however fair play to D&D for resolving this issue. I have also received my replacement disc. I am very happy. There is a thought in the back of my mind that I should thank The Genii. Dustin was the first person to see and notice the problem because we got a set just slightly in advance of release so it could be reviewed. I let Guy and the Bucks know about the issue. If it wasn't us, someone else would have noticed it a few days later. I think all this just goes to show that Max was right when he wrote "So, Damian, as you Brits so quaintly put it, stop whinging." In September 2014. Sorry, but there's very little to congratulate D and D on when a replacement disc takes 10 months to send out to customers, and until this thread began to get a little traction - (presumably turning up the heat a bit), nobody from D and D even bothered to contact customers who had already purchased the boxed set to acknowledge the problem, inform customers of the pending process, or give said customers any indication of timelines involved until a resolution was completed. Because it's Hollingworth, and because the collectible set is otherwise so well done ... it is satisfying that something is being done to resolve this, but I would question whether any sort of "told ya'so" or righteous chest pounding is even remotely appropriate in this case. It was poorly handled throughout, and D and D customers taking their own time to make efforts to clarify what was going on is as far from "whinging" as is possible to get. Replacement disc arrived at chez Genii today. Richard Kaufman wrote: Replacement disc arrived at chez Genii today. 8 months after the initial release. I love the approach to Cannibal Cards (which was the only effect that had sound issues in the original disc) and hope to do it justice when I perform it for the first time. I just noticed that D&D are selling the discs individually, so you don't have to buy the big box set if you don't want to. They've sold out of the limited edition box sets, which is why they're now selling them individually. Probably explains why those who purchased the limited edition had to wait so long for the replacement DVD. Perhaps I'm becoming more of a cynic as I get older. Andrew, I think that goes without saying. I got an email today from Vanishing Inc alerting me to this. "Only a handful" it said. All the videos have been released separately, haven't they? I think they're $80 for the lot, about half the price.